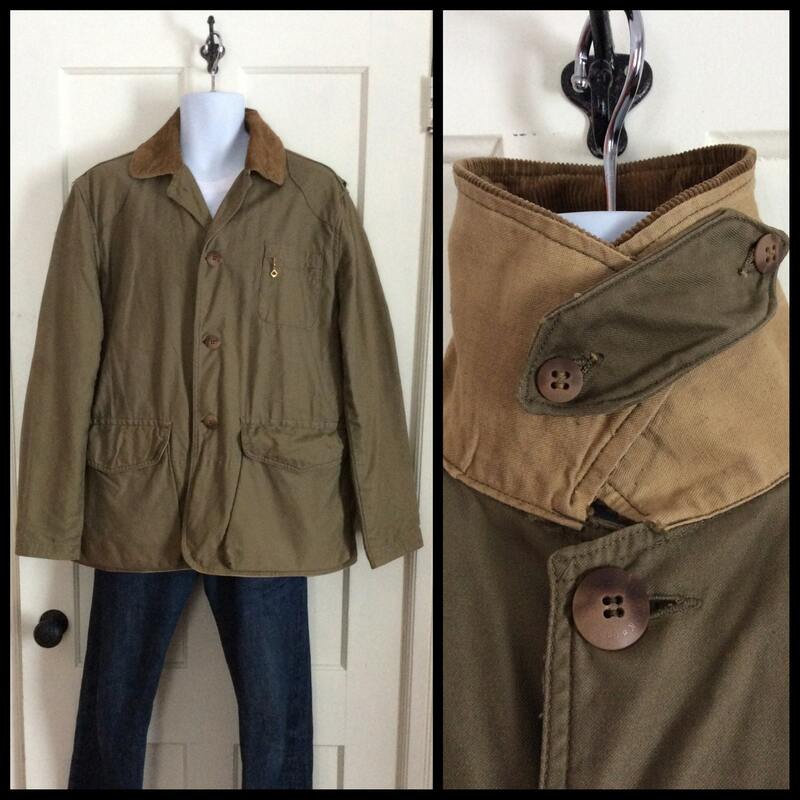 Here's a hunting jacket from the 1950s. 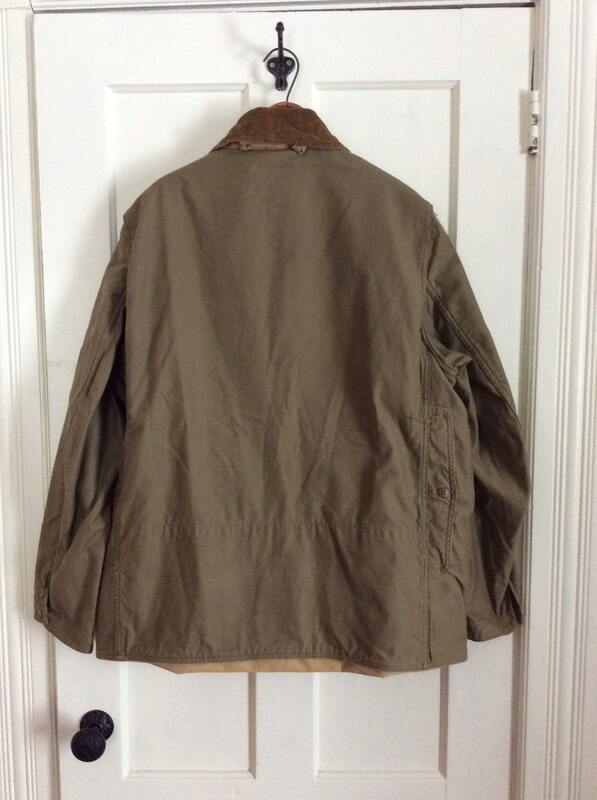 It's very worn in and feels like worn soft 100% cotton. It has a chin strap, 3 pockets in front, a huge pocket in back with hooks and brass Serval zippers on the inside, button flaps on the outside. 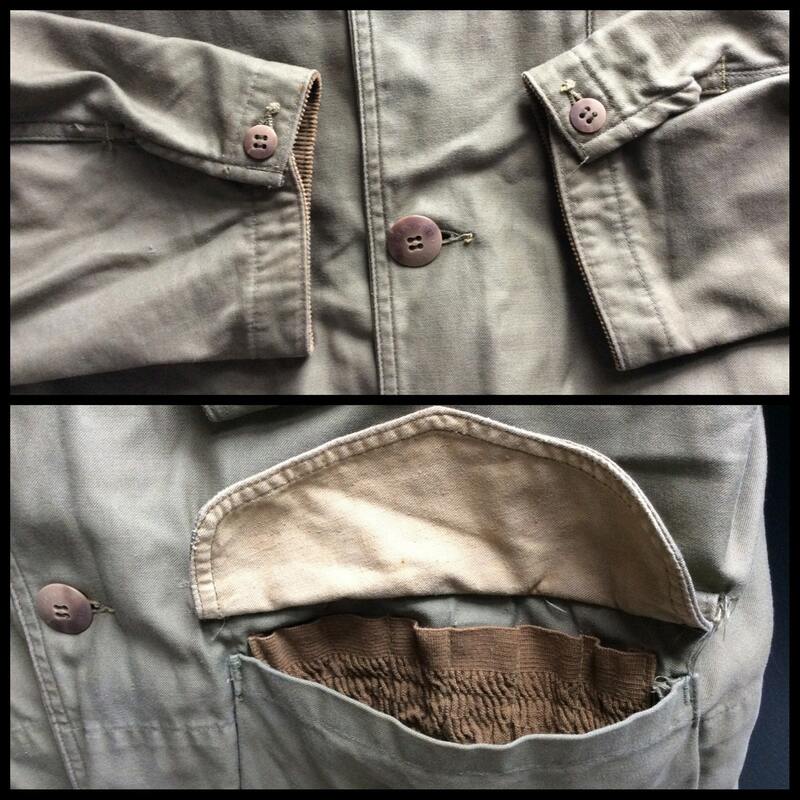 The 2 large pockets in front have bullet holders inside. 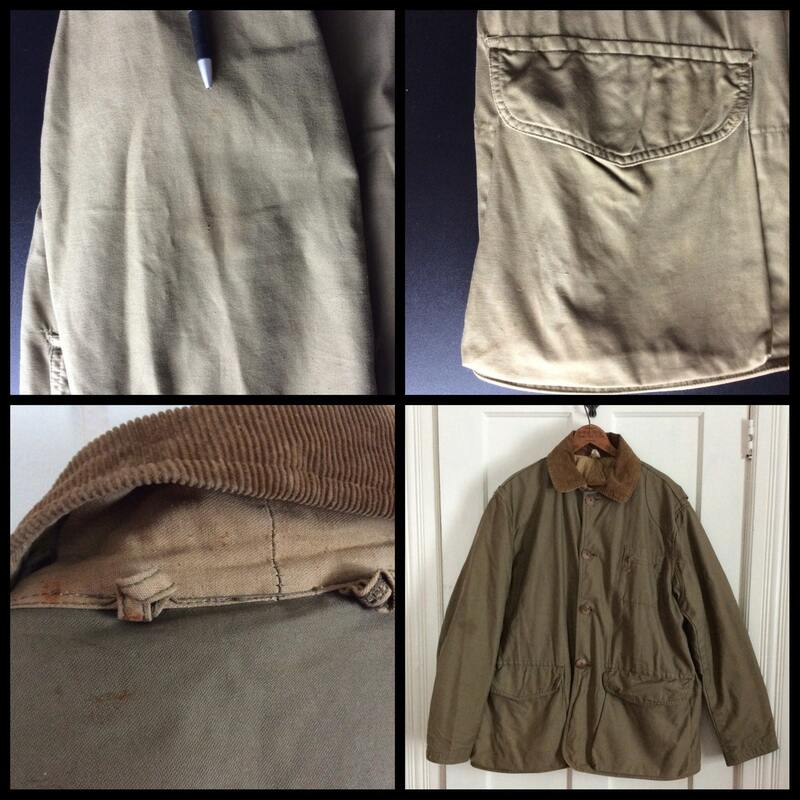 It has a corduroy collar and corduroy on the inside of the sleeve cuffs. There's a spot and a couple of small marks by the right elbow. 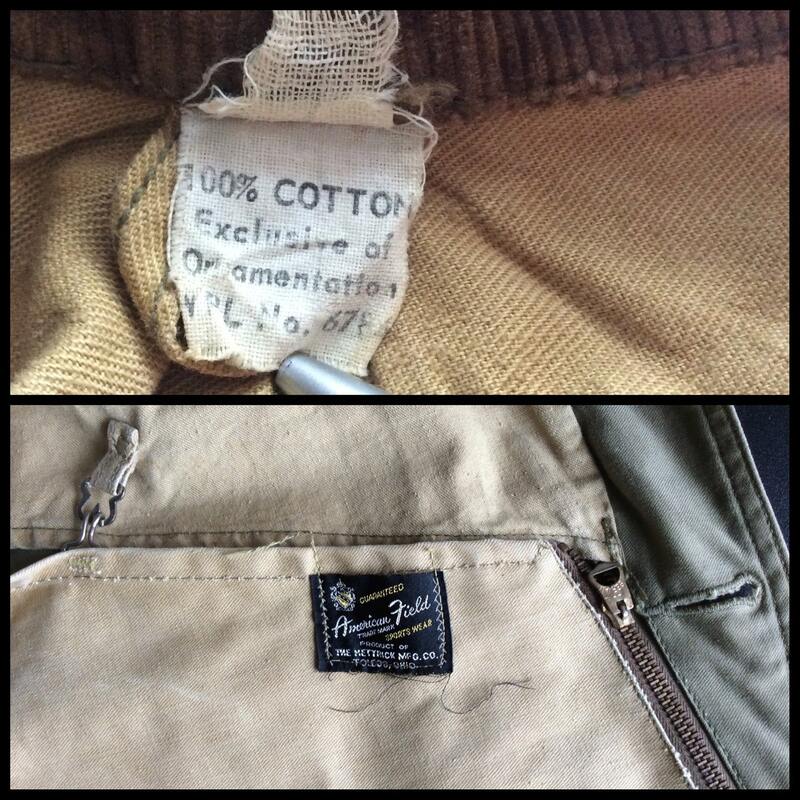 There's discoloration, spots and marks on the front right pocket, and a few marks behind the collar in back. 36.5" sleeve measuring from the center of the neck to the shoulder, then down to the end of the cuff.